In today’s digital world, the hot topics in the small business marketing industry tend to be things like SEO, responsive web design, pay-per-click advertising, and of course whatever the latest fad in social media happens to be in any particular week. Of course all of these things are important and have a role to play in successfully marketing a small business, but while all of these constantly changing and evolving areas have been dominating the conversation, one time-tested marketing tactic has continued to quietly provide good results for those relatively few small business owners who have truly mastered it. I’m talking about good, old-fashioned networking, which—especially at the local level—is still one of the most cost effective marketing methods available to a small business. Unfortunately, it’s also something that very few people are good at. Just visit any chamber of commerce luncheon and in no time you’ll quickly see numerous examples of bad networking. I’m talking about the guy who passes out business cards to everyone in the room and yet couldn’t tell you the name of a single person he talked to an hour later…or the woman who is clearly more interested in the desert tray than in any meaningful business-related conversation. It’s no wonder many people concentrate on other marketing tactics when their “networking” experiences involve examples like these. Just to be perfectly clear, this superficial type of networking is not what I’m recommending as a way to grow your business. What I am recommending is developing long-term, meaningful relationships with quality business professionals who are ready and willing to help you accomplish your business goals. If that last sentence sounded familiar to you, it might be because it’s taken from the mission statement of the world’s largest small business networking and referral organization, BNI (Business Network International). By participating in local business networking groups like BNI, business owners can not only improve their networking skills, they can also meet strategic partners and get referrals—lots of referrals. In a second, I’ll give you five specific ways that local networking groups can help grow a small business, but first I want to define exactly what kind of groups I’m talking about. The group only allows one representative from each profession to join a chapter. New members must go through an application and screening process to join the group (i.e., they don’t simply allow anybody who can pay the membership fee to join). The primary purpose of the group is to facilitate the exchange of business referrals between members. The group meets in person on a regular basis (weekly or bi-weekly). Meetings have a structured format so that members get equal consideration and do not have to fight for attention. Members are expected to adhere to a code of ethics and/or meet quality standards. Of course, BNI is by far the largest and most well-known example of this type of organization, but there are many other similar groups, such as LeTip and Biz to Biz. Within any of these groups you’ll find chapters that are healthy and very effective, and chapters that are run very poorly and are not effective at all. For the purposes of this article, I’m referring to a healthy, well-run chapter of a local networking group meeting the above criteria. Now that we’ve got that straightened out, let’s get to those five specific tips for getting the most out of these groups once you are a member. One common characteristic of the type of networking group I described is that members will have the opportunity to ask for referrals. In fact, members are expected to refer business to each other, but that doesn’t mean that those referrals will turn into customers. In order to get the most out of your membership in local networking groups, be as specific as possible when you ask for referrals. This will be much, much more effective than a generic request such as “I’d like to meet small business owners who have sole proprietorships.” Vague referral requests like that will get you lots of bad referrals—if they get you any referrals at all. The only thing better than getting a personal introduction to a new customer is getting a personal introduction to someone who can send you lots of new customers—i.e., a strategic partner. Unfortunately, all too often people in local networking groups tend to focus only on asking for referrals to new customers. This is probably because referrals to strategic partners take more time and energy before they result in cash flow. Don’t miss out on this potential gold mine for new customers. Ask members of your local networking group for referrals to strategic partners, or better yet, join a chapter that already has a few potential strategic partners in it. Sometimes, it might be hard for other members of a group to refer business to you, but they might be able to help you out in other ways. For example, let’s say you have a blog that you post an educational article to at least once or twice a month (which you should). Why not ask your fellow members to share it on their personal Facebook pages, Twitter accounts, or LinkedIn profiles? 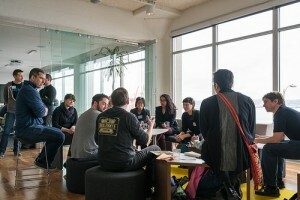 Typical chapters of local networking groups have between 20-30 people. If each of those people has a few hundred “friends” on Facebook, and even half of them share your article with their followers, you’ll get tons of free exposure, at least a few clicks to your website, and—with a little bit of luck—maybe even a new customer or two. Positive online reviews for a local business on sites like Google, Yelp, and Facebook are very important, but getting them from customers can be a challenge. Once you have gotten to know members of your local networking group fairly well, ask if they’d be willing to write you a review or LinkedIn recommendation from the perspective of a business associate. In some cases, this can be even more powerful than a review from a customer, because it’s coming from someone who has a long-term relationship with you. Of course, when you make this request you should offer to do the same for them in return. This last tip will apply more to B2B businesses than B2C businesses. For those of you who have clients who are small business owners, think about who in your local networking group might be a potential customer for them. Then, invite them to attend a meeting with you as your guest and introduce them to that member. It may or may not lead to a new customer for them, but even if it doesn’t, they’ll probably appreciate the fact that you are thinking about them and trying to help them out. Who knows—if they’re impressed by your group, they may even become a member and turn into a source of referrals for you and the other members! Now that you know how to get the most out of local business networking groups, it’s time to take action. Make a commitment to find a group in your area and pay them a visit sometime within the next month. Don’t be shy about reaching out—these groups LOVE visitors and treat them like royalty, because they know that every visitor is either a potential customer or referral source for them. Just contact the chapter president and let them know you’d like to visit the group, and they’ll let you know what to do. If you’re already a member of a local networking group and aren’t using all of the above ideas, then start! Just don’t be surprised if other members of your group start copying you once they see what great results you’re getting. 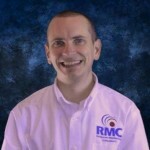 Kevin Jordan is a small business marketing consultant and member of the Duct Tape Marketing Consultant Network. He’s also the president of the newly chartered Bridge to Success BNI Chapter in Farmville, VA. You’re invited to visit his chapter the next time you happen to be in central Virginia on a Thursday morning at 8 am.